After taking a decade-and-a-half vacation from live performance, septuagenarian singer/songwriter/saint Leonard Cohen returned to the stage in 2008 for a European tour. During his absence, his popularity had grown to such a degree that his London concert took place at the city's O2 Arena. With the gathered masses sounding suitably enraptured, Cohen can be heard delivering a long program that serves as both career summary and mission reiteration on this double-length live album. Amazingly, Cohen sounds even more vital and intense than the last time he strode the boards, back in the mid-'90s. For all the high-powered cover versions over the years, his cavernously deep voice remains the most effective instrument for delivering his poetic incantations, looming large over a subtle, sympathetic band. He invests '60s classics like "Suzanne" and "Bird on a Wire" with new energy, underlining their continued relevance, while establishing a place in the canon for latter-day gems like "Anthem" and "Democracy," all the while punctuating his performance with carefully placed quips that show his trademark black humor to be in full effect. 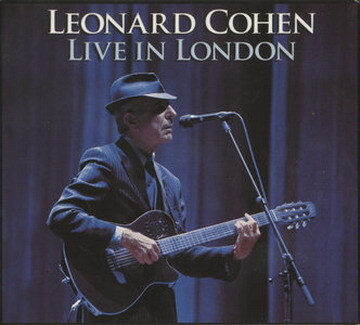 Personnel: Leonard Cohen (vocals, guitar, keyboards); Bob Metzger (guitar, pedal steel guitar); Charley Webb (guitar, background vocals); Javier Mas (12-string guitar, bandurria, lute, archlute); Hattie Webb (harp, background vocals); Dino Soldo (harmonica, keyboards, wind, background vocals); Neil Larsen (keyboards); Roscoe Beck (upright bass, electric bass, background vocals); Rafael Gayol (drums, percussion); Sharon Robinson (background vocals).